Dubbed “the most popular poet in America” by Bruce Weber in the New York Times, Billy Collins is famous for conversational, witty poems that welcome readers with humor but often slip into quirky, tender or profound observation on the everyday, reading and writing, and poetry itself. Collins was born in 1941 in New York City. He earned a BA from the College of the Holy Cross, and both an MA and PhD from the University of California-Riverside. In 1975 he co-founded the Mid-Atlantic Review with Michael Shannon. He has received fellowships from the National Endowment for the Arts, the Guggenheim Foundation, and the New York Foundation for the Arts and has taught at Columbia University, Sarah Lawrence, and Lehman College, City University of New York, where he is a Distinguished Professor. He is also Senior Distinguished Fellow of the Winter Park Institute in Florida, and a faculty member at the State University of New York-Stonybrook. ​Collins’s level of fame is almost unprecedented in the world of contemporary poetry: his readings regularly sell out, and he received a six-figure advance when he moved publishers in the late 1990s. He served two terms as the US Poet Laureate, from 2001-2003, was New York State Poet Laureate from 2004-2006, and is a regular guest on National Public Radio programs. In 2002, as U.S. Poet Laureate, Collins was asked to write a poem commemorating the first anniversary of the fall of the Twin Towers of the World Trade Center on September 11. The reading was in front of a joint session of Congress held outside of Washington D.C. Taking off Emily Dickinson’s Clothes (2000) was the first Collins collection published outside the U.S. It selected work from his previous four books and was met with great acclaim in the U.K. Poet and critic Michael Donaghy called Collins a “rare amalgam of accessibility and intelligence,” and A.L. Kennedy described the volume as containing “great verse, moving, intelligent and darkly funny.” Sailing Alone Around the Room: New and Selected Poems(2001), the U.S. version of Collins’s selected, had a tumultuous journey to print. The story, which garnered a front-page slot in the New York Times, originally cast Collins’s first publishers, the University of Pittsburgh Press, in an unfair light, accusing them of refusing to grant rights for poems requested by Random House for inclusion in Sailing Alone Around the Room. However, it later emerged that Random House had begun to produce the book without first securing rights from Pitt Poetry Press, a highly unusual move for a major publishing house to make. Dennis Loy Johnson reported on the controversy for Salon, noting that “ultimately it was Random House, not Pitt, that chose to delay the publication of Collins’ selected volume.” The battle between Random House and the University of Pittsburgh Press was public and uncharacteristic of the sleepy world of poetry publishing. When Sailing Alone Around the Room was finally published, in 2001, it was met with enthusiastic reviews and brisk sales. Margaret Emerson will be hosting an evening of poetry readings on our outdoor stage to celebrate summer solstice. Bring your own lawn chair and refreshments. Donations welcome. The author of several collections of poetry, including North Point North: Newand Selected (2002), Ninety-fifth Street (2009), ROTC Kills (2012), and The Swimmer (2016), John Koethe also publishes and teaches philosophy, focusing on the philosophy of language. Koethe began writing poetry as an undergraduate at Princeton University and earned his PhD from Harvard University. Koethe received the Kingsley Tufts Award for Falling Water (1997), the Frank O’Hara Award for Domes (1973), and the Bernard F. Connors Award. His poetry has been included in several anthologies, including Best American Poetry. He has been granted fellowships from the Guggenheim Foundation and the National Endowment for the Arts. He has also received a lifetime achievement award from the Council for Wisconsin Writers. He is professor of philosophy at the University of Wisconsin–Milwaukee. Born in Elmhurst, Illinois, poet Susan Kinsolving earned a BA at the University of California, Los Angeles, and an MFA at the California Institute of the Arts. Kinsolving’s collections of poetry include The White Eyelash (2003) and Dailies & Rushes (1999), which was a National Book Critics Circle Award finalist. Her librettos have been performed by the Baroque Choral Guild and the Glimmerglass Opera. Kinsolving has won the Poetry Society of America’s Lyric Poetry Award as well as several international fellowships. She has taught at the Bennington Writing Seminars, the University of Connecticut, and the California Institute of the Arts. Justen Ahren is a poet, photographer, musician and writing workshop facilitator. He’s had two published collections of poetry, A Strange Catechism and A Machine for Remembering. His poems have been set to music by Grammy award-winning Composer Glen Roven, and Cuban composer Ileana Perez Valezquez, twice commissioned by Wendy Taucher Dance Theater Opera, and once by John Sims for his Afro Dixie Project. A Strange Catechism what made into a dramatic monologue and performed at The Yard, Chilmark and the poems and photos from A Machine for Remembering were turned into experimental theater and performed at Pathways Projects. In 2018, his poem was exhibited at Massachusetts Museum of Contemporary Arts as part of Consensus, Sally Taylor’s artist’s game of telephone. His photographic projects have taken him all over the world. He focuses on stories retained in landscape, residual memories and witness. He’s photographed refugee routes and landing sites in Italy, and Greece, as well as landscapes along the Mexico-United States border where immigrants are crossing. His photos have appeared recently in the visual arts journals HokTok and Cold Mountain Review, and in Bitten, award-winning science writer Kris Newby’s book on the origins of Lyme Disease. He’s had one solo show at the Feldman Family Art Space. 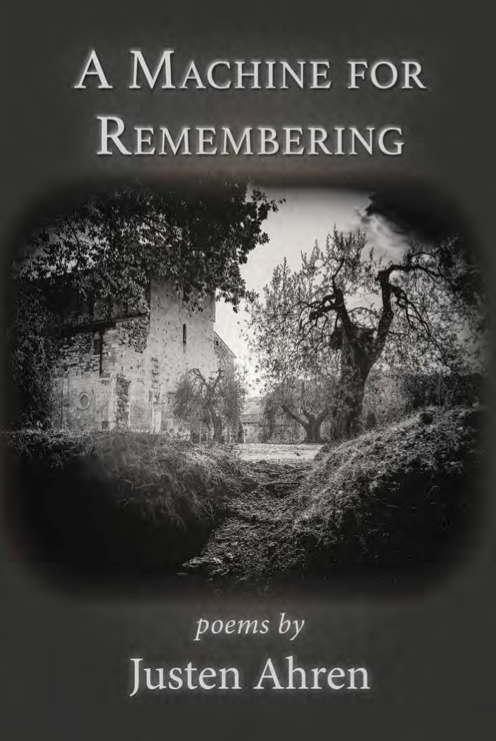 In 2019, Ahren released his first album in 20 years (after 1996’s Remembering) The War for the Valley is a musical response to the Syrian refugee crises and the stories he heard while working with refugees in Greece. Beyond making art out of his experiences and interests, Ahren enjoys helping other writers find their way to creative abundance. 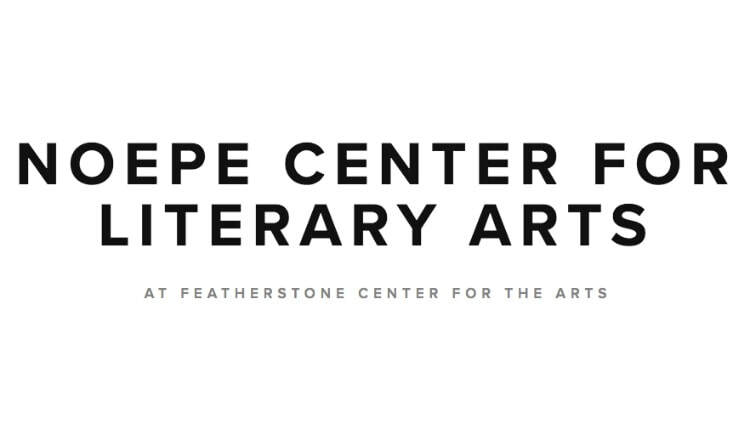 In 2007 I founded Noepe Center for Literary Arts to provide writers with time and space to write. In 2013 he started the Italy Writing Retreat in Orvieto, Italy, which he leads. Currently he is developing his Enwritenment brand, workshops and online courses which guide writers as they establish a consistent writing practice. Ahren was West Tisbury, Massachusetts Poet Laureate from 2013-2016 and Martha's Vineyard, Massachusetts Poet Laureate from 2017-2019. Visit Noepe Center for Literary Arts to learn about summer workshops at Featherstone.